Pro.com’s latest fundraising brings the company’s total outside investment to $27.5 million. 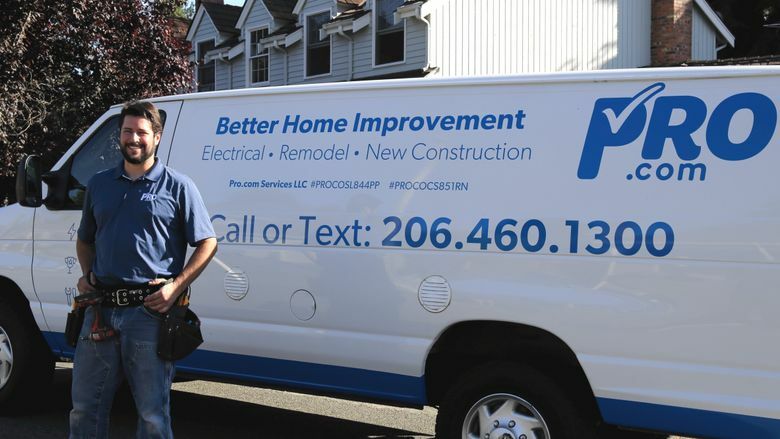 Pro.com, a Seattle startup whose website sells home-improvement services, has sealed a $10 million investment round. The company is led by Matt Williams, who sold online auction startup LiveBid to Amazon.com in 1999 and spent the next decade at the e-commerce company in a range of management roles. He later led news aggregator Digg.com. Pro.com employs about 40 people in Seattle, and 20 across the country. The latest fundraising was led by venture capital fund DFJ and also includes contributions from existing investors including Two Sigma Ventures and Seattle’s Maveron and Madrona Venture Group. The fundraising brings the company’s total outside investment to $27.5 million, including a stake bought by Amazon Chief Executive Jeff Bezos, since its 2013 founding. Pro.com, a licensed general contractor in Washington and California, offers quotes and services through its network of carpenters, electricians and project managers, as well as subcontractors.